When heat builds up indoors in summer, the slightest breath of wind is welcome: The fan "Otto" by Carlo Borer will help cool the air with a gentle breeze or by generating a gale! Thanks to the adjustable, industrial fan, the air circulation can be easily adjusted. 'Otto' is straightforward with height- adjustable feet. He is also in tune in nature. The frame is made of European solid wood, and has been steam-formed and oiled twice. The attractive summer-friend Otto by Stadler Form is equipped with 3 velocity-levels (less than 70dB-A). A simple elegant fan with the switch settings at the rear to control the speed. Nicely finished, and the noise produced by the fan is of a medium level. Single image of the Otto Ventilator by Stadler Form. 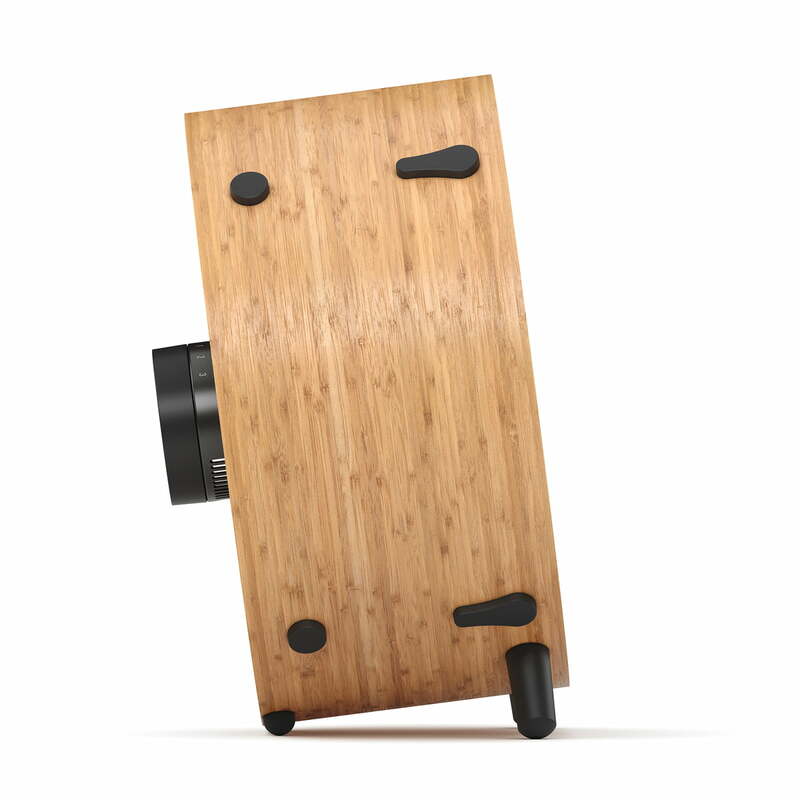 Carlo Borer created the refreshing design with a frame made of sustainable bamboo. Otto's height is adjustable. Side view of the Otto Ventilator by Stadler Form. Otto provides for a fresh breeze and is equipped with three different power levels. The natural material bamboo gives the device a characteristic look. 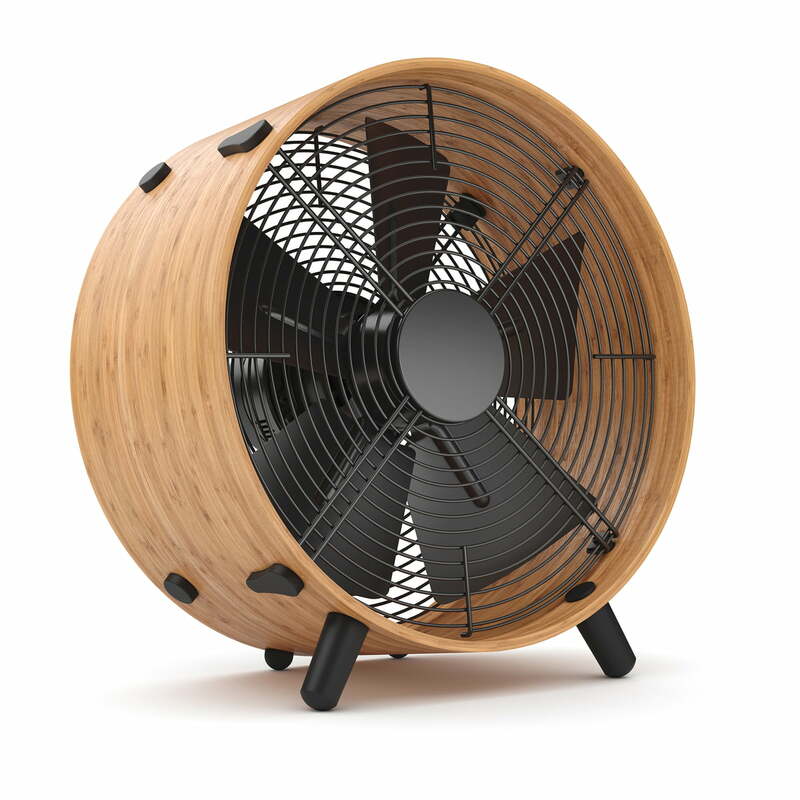 With its natural frame made of sustainable bamboo, the adjustable height and three different power levels, the ventilator Otto by Stadler Form has a lot to offer for the summer.